Global Roll Forming Machine Market Research in 2018 - ZhangYun Machinery Manufacturing Co.,Ltd. A comprehensive market study on Global Roll Forming Machine Market in 2018 examines the performance of the Roll Forming Machine market. It encloses an in-depth research of the roll forming machines market state as well as the competitive landscape globally. This research likewise analyses the potential of Roll Forming Machines market in the present as well as future prospects from various angles in detail. 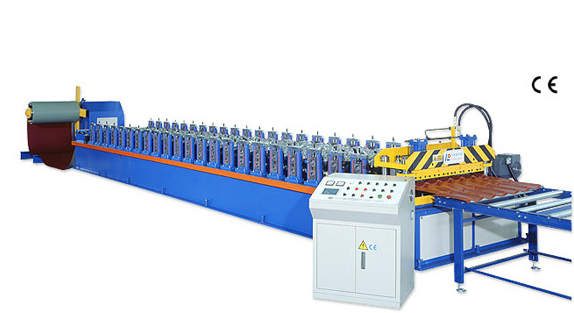 The roll forming machine is a rolling kind which involve an uninterrupted bending of the sheet metals which are long strips of coiled steel, into various kinds of preferred cross-section. In roll forming machines, so as to form the metal strips into the desired shapes, they are passed via rolls which are placed on successive stands. Each set would only execute a part of the bend until the cross section needed is obtained. The market for roll forming machine is fragmented globally into its process, machine type, product type, applications as well as end-users. Based on the process, the global market is segregated into mid-line punching, pre-punch as well as post punching. Based on the kind of machine used, the market is categorized into manual as well as computerized. According to the type, the market is divided into non-portable and portable. Based on the type of product, the market can be categorized into roof panel, C-Z purling, roofing sheet, ceiling sheet as well as corrugated. According to the applications, the market can be divided into open loop flying die, closed loop flying die, open loop stops as well as closed loop stopping. According to the end users, the market can be divided into automotive industry and manufacturing industry. As a result of the high demand of roll forming machine from automation industry as well as manufacturing sector, there is a rapid growth in the global roll forming machine market. Over the past few years, the most productive metal forming technology is the roll forming machine, thus the demand of this market has increased drastically. The efficiency of the roll forming machine is high and the requirement of labour has also increased significantly. However, the challenges which are faced by the equipment-based manufacturers are issues which are related to the flexibility, production of a wide range of productive product as well as the cost of the roll forming machine. Based on the analysis done in different regions, the market for roll forming machines is diversifies into North America, Asia-Pacific, Western Europe, Eastern Europe, the Middle East and Africa, and Latin America. The region which is leading in terms of roll forming machine market is the North America. In North America, the steel which are produced is processed with the aid of roll forming machines and it is widely used in the automotive industry. The North American is followed by the Western European region; however, it is expected that the overall global market for roll forming machine to grow very well in other regions because of the increase number of opportunities as well as manufacturing sectors. Thus, there would be an increase in global forming machines in the years to come because other areas are also making a good improvement in the production sector which would necessitate the use of the machine.